Should You Pay Off the Mortgage or Invest Instead? There are likely thousands of articles that deal with this very subject, all with plenty of differing opinions, but we are in unprecedented times. Mortgage rates have never been lower than they’ve been over the past year, and that changes the argument quite a bit. In short, it makes holding a mortgage for a long time more attractive than it has ever been. Can You Earn a Better Return Than Your Mortgage Rate? As I noted in a recent post, the 30-year fixed averaged 5.72% over the past decade, and 6.52% over the past 20 years. The average jumps to 7.45% over the past 30 years. Today, the average interest rate on a 30-year fixed mortgage is around 3.625%, and some lucky borrowers snagged even lower rates by refinancing months earlier. For those who opted to take out a 15-year fixed, interest rates are in the high 2% range. Clearly this is material enough to make borrowers think twice about what to do with their money. Do you pay your mortgage off early, on schedule, or go with something even more extreme like an interest-only home loan? Plenty of options here. In the past, it may have been ambitious to think you could earn a better return than your 5-7% mortgage rate, but now that rates are in the 3% range, it sounds a lot more practical, even for the amateur investor. If you factor in the mortgage interest deduction (assuming you itemize), your effective mortgage rate is even lower. Of course, there are taxes on investment gains as well, so it’s somewhat awash. Granted, you can invest tax-free depending on the investment vehicle, and grow your investments now as opposed to later. Assuming you think you can beat your mortgage rate, the first place one might look is a savings account. After all, they’re a relatively safe place to put your money with little risk aside from your bank going under and not having FDIC insurance somehow. Unfortunately, savings accounts are yielding next to nothing these days. In fact, most yield less than 1% at the moment. So if you chose to simply invest in one of these accounts, rather than pay down your mortgage, you’d be losing out by carrying mortgage debt, even at a super low rate of 3.625%. However, the interest rate on your 30-year fixed mortgage will never change, whereas savings account yields will probably rise over time. But until they do, stashing away money that pays you a 1% return while holding more expensive debt isn’t necessarily the wisest decision. Factor in inflation, and it’s even more a losing proposition, assuming your money can’t even keep up. Of course, most homeowners need to set aside some amount of cash in an emergency fund or whatever you want to call it just in case something goes wrong. So putting it someplace where it will grow, albeit slowly, without major downside risk, is prudent. What About Mutual Funds and Stocks? For the more confident investor, a better place to put your money could be in mutual funds or stocks. Or perhaps a dividend-paying stock that yields more than your existing mortgage rate. Just look at a blue chip like AT&T currently yielding 4.88%. Sure, the stock price can go down, but if the stock goes up and you get that yield (or close to it), it could be a winning move for your money. But beware that when you choose to invest in one of these financial instruments, the risk goes up. As a rule of thumb, the more you stand to gain, the more you could lose. It’s a risk/reward thing. Still, with mortgage rates as low as they are, you don’t need to be Warren Buffett to win the game. However, there is a ton of risk in the stock market. As we saw during the financial crisis, plenty of seemingly too-big-to-fail companies went down, such as Bear Stearns, Countrywide, Lehman Brothers, Merrill Lynch, Wachovia, Washington Mutual, and so on. I’m sure plenty of investors held these companies in their portfolios, and few imagined ever losing their entire stake. Could it happen again? Sure it could. So how did those who paid down their mortgage make out compared to those who were highly leveraged in the stock market? Well, they probably kept their mortgage balances above water, meaning they’ve got some home equity, but there’s a good chance many are still trapped in their homes. In other words, they may have purchased a home or refinanced during the height of the market, and are now paying down an oversized mortgage with lofty monthly payments. So it’s important to remember that your home can lose value as well – it’s not a foregone conclusion that you’ll make money in real estate. When it comes down to it, it’s not a simple or straightforward question, or a one-size-fits-all answer. There are so many variables that you really need to whip out an early payoff calculator, talk to your CPA, visit a financial planner and/or retirement specialist, and so on and so forth. 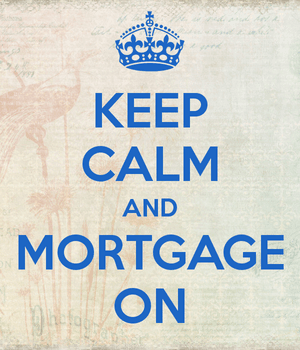 I will say that mortgages have a lot of desirable qualities that make them the best debt to carry. But I know people who absolutely hate debt and want to get rid of it as soon as possible, regardless of what the math tells them. And there is value in that, even if it’s not monetary value. If you want to get rid of your mortgage, more power to you. Go for it. But know that few loans come with extremely low fixed interest rates that are tax deductible and amortized over a long period of time. If rates happen to go down, you have the option to refinance to a lower rate, which also provides flexibility. And if you invest money early on instead of paying down your mortgage, your gains can be exponentially better. I get it though, there’s the emotional element. Some folks like the idea of being debt-free, for better or worse, financially. Not everyone likes to invest in complicated securities or even seemingly benign blue chip stocks, so their goal might be to eliminate the debt overhang as quickly as possible. The key really is finding a balance. There’s no rule for how much you need to pay other than your payment due. You can make an extra payment here and there or look into biweekly mortgage payments, or just pay on schedule and spread your money around as needed/desired. Pay Off the Mortgage or Invest in a Rental Property? Let’s talk about one last thing. Some savvy folks like to take their money and put it into a second or third property that they then rent out. This way they can build out a real estate portfolio, instead of paying down one mortgage on their primary home. If you think about it, it’s a great idea because real estate is highly leveraged, so you might only need a 20% down payment to make a new investment that can go up tenfold. Additionally, you can diversify your investments by putting money into more than just one investment property. Think about stocks. Would you put all your money in one name, or would you rather have a little bit spread across a dozen or so names instead? A homeowner can also buy a condo or multi-unit property first, then eventually rent it out and move on to a new home, designating the old property as an investment and the new property as their home. This is a good approach to build a portfolio of properties while also making sure it is easy to finance the properties, since underwriting is most flexible on a primary home. And if you actually have money or liquid assets set aside, you can use it for the down payment on the subsequent properties, instead of having it locked up in one home. POSTED IN » Mortgage Tips, Vs. I know it probably makes more sense to invest right now, seeing that interest rates are so low, but I’m no finance expert, so for me chipping away at the mortgage is the best move. Definitely invest right now – with long-term fixed rates this low, it’s not that hard to earn a better return for your money elsewhere. Why pay a mortgage down as fast as possible when rates are this low? You get a deduction for interest too, and future inflation will make payments even more attractive.